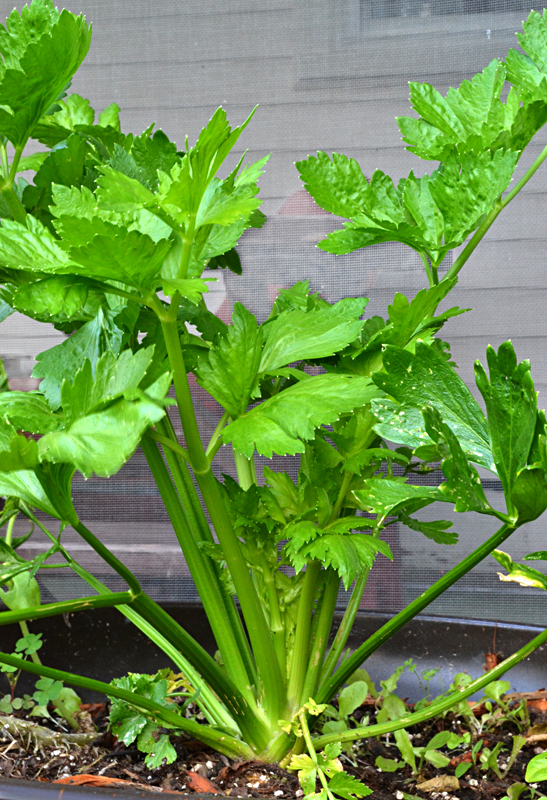 Buffalo-NiagaraGardening.com > Garden tips > Celery update: It’s not going strong, but amazingly, it’s still growing! Celery update: It’s not going strong, but amazingly, it’s still growing! 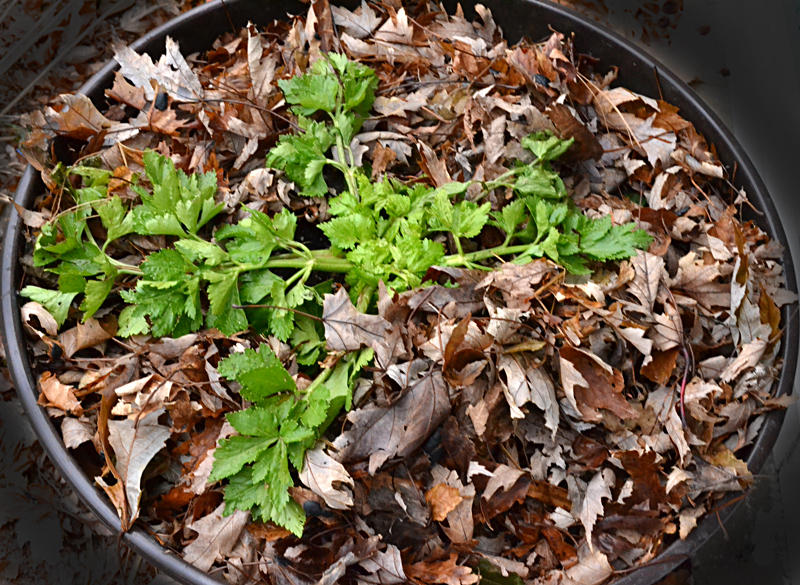 Back in March I told you how to start a new celery plant from the celery stump. In September I harvested some of the stalks, but then I left the plant outside to see what it would do. We had a long and mild autumn, and through most of November, the celery plant looked pretty much the same way it did in September– see photo at right. 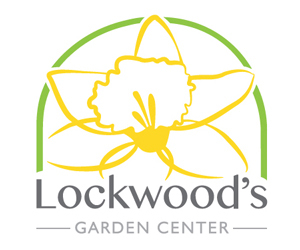 Then we got that cold snap with temperatures in the teens toward the end of November, and the stalks of the plant drooped. I covered it up with leaves and checked on it yesterday. It’s lying flat, as you can see in the photo at the beginning of this article, but amazingly, it’s still green and alive. Instead of being crisp and crunchy, the celery is droopy and a little tough, but it tastes good. I wouldn’t want to serve it fresh, but it’s still fine to use in soups and sauces. I didn’t realize how cold tolerant celery is. 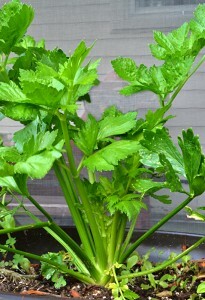 Instead of waiting for May, I might try putting some celery plants out sooner in the coming year. I’ll let you know how it works out.